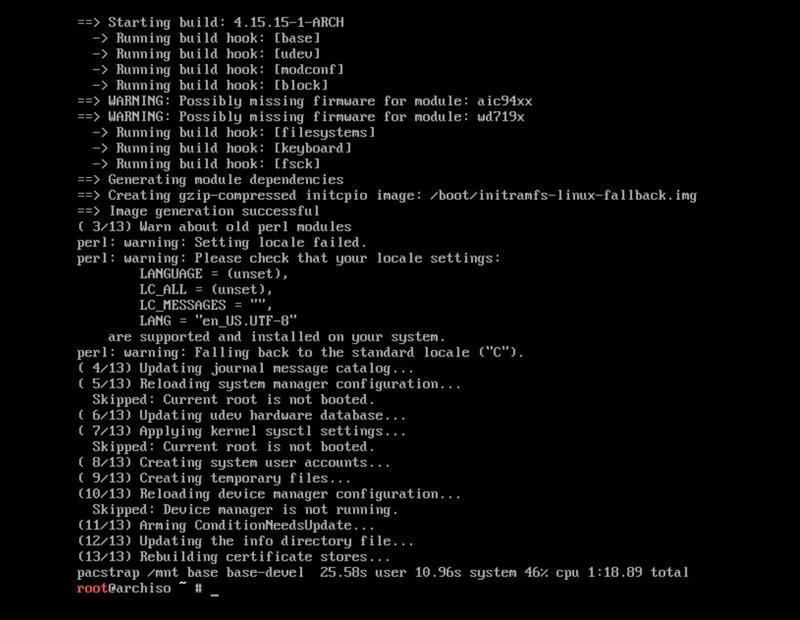 UEFI or EFI on VirtualBox is said to be still experimental. 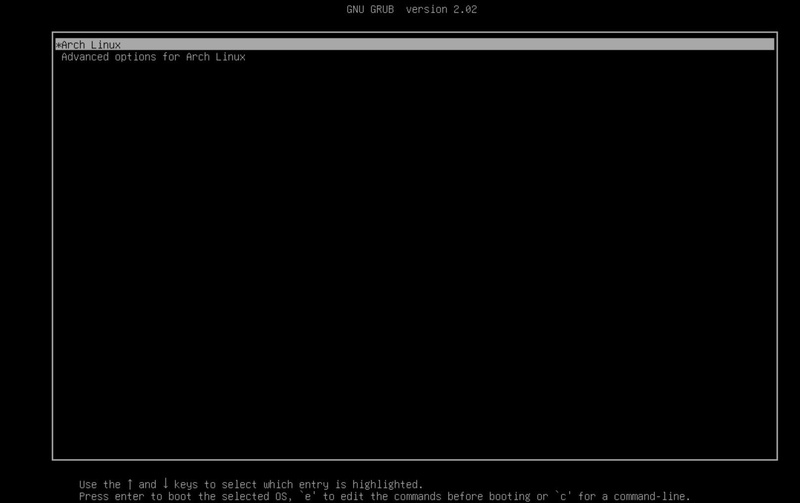 When phase 1 is complete and you reboot, grub will load Arch Linux. 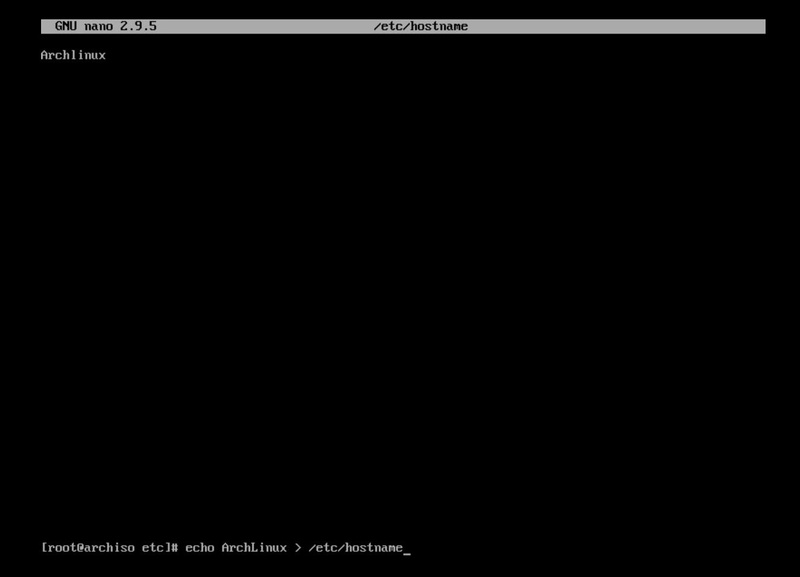 BUT if you shutdown virtualbox, you will not be able to boot into Arch Linux anymore. Fortunately I found a workaround. If you have found a “nicer and easier” solution, let us know. Solution is at the bottom of the page. 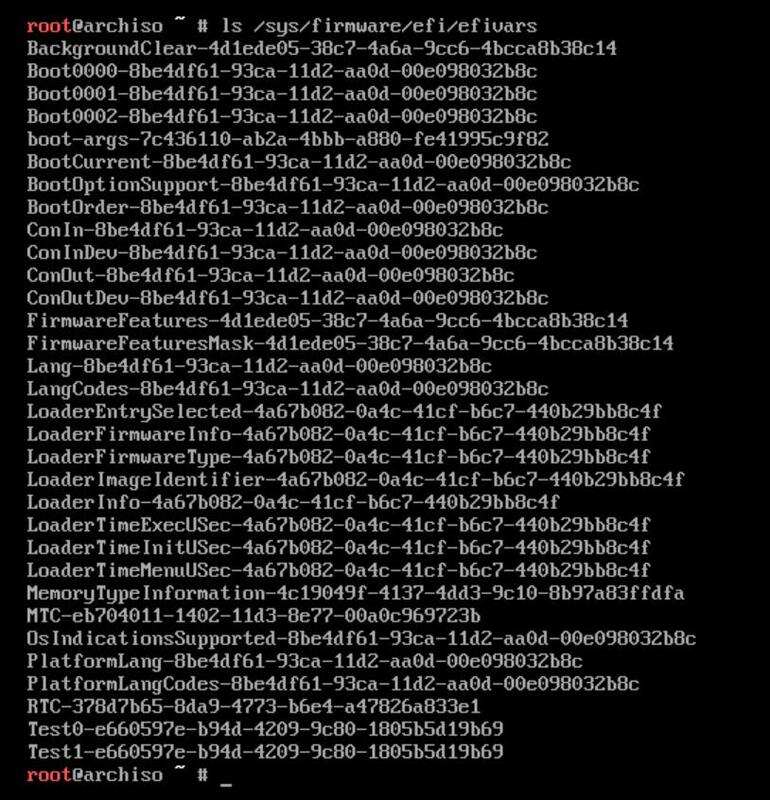 The image above is proof that we are booting with EFI enabled in Virtualbox. 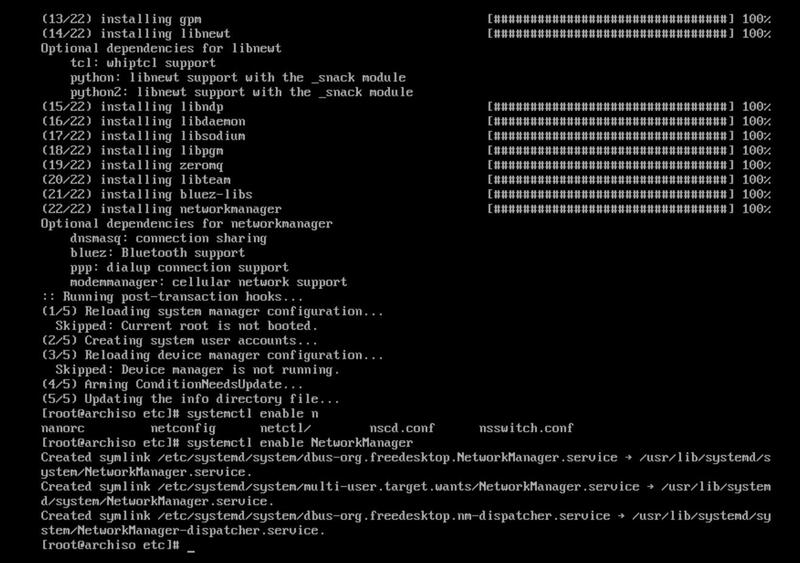 Then we have to wait quite a long time before Arch Linux kicks in and boots up. That is normal. It is not really necessary IF you saw the first image on this page. 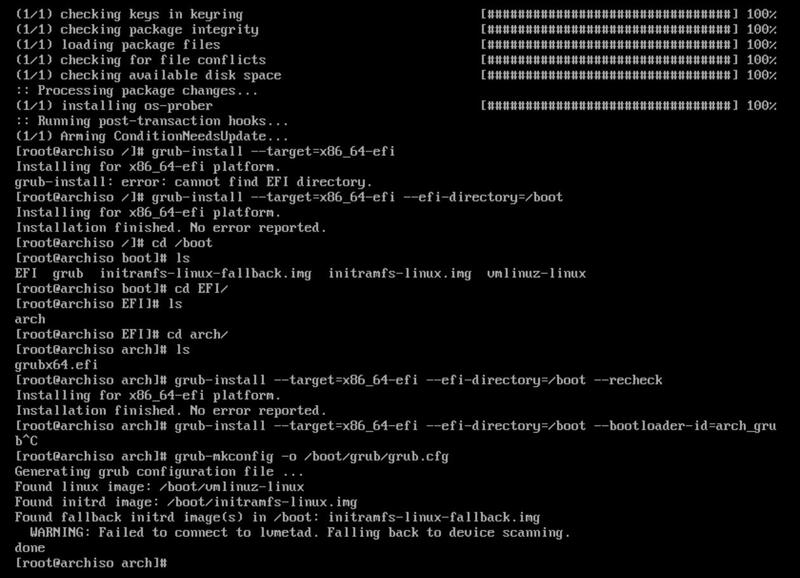 It tells you the Arch Linux usb stick is booting into UEFI. If you get a bunch of lines, all is well. We have choosen to install UEFI or EFI so we choose now GPT. Notice the words Label: gpt in the third line. Use the arrow keys to move around cfdisk. Press enter on the New menu and type 550MB and press Enter. 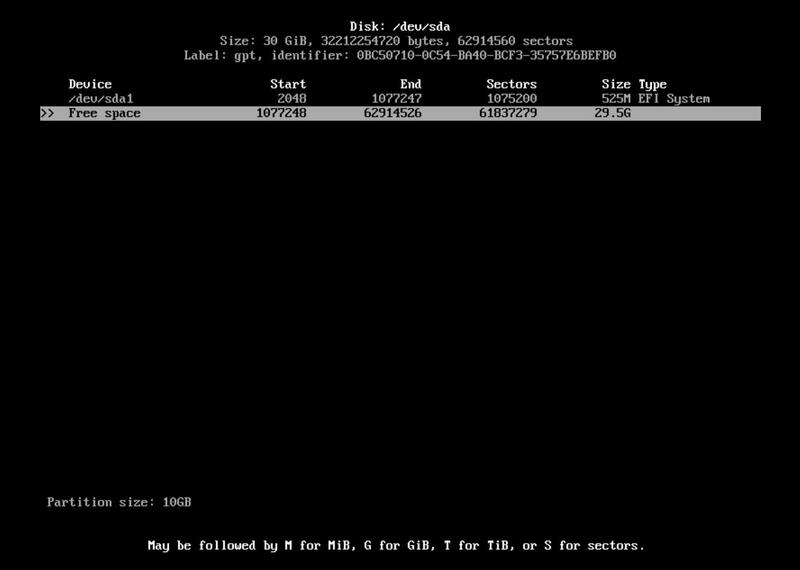 Select the type from the bottom menu and choose EFI SYSTEM partition type. That will result in this layout. Now that the EFI partition is created. Let us create the swap partition. Move the selection to New and press Enter. We will stick to 3 partitions. Move the selection to Write. And type “yes” and press enter. When you typed yes and confirmed it with an Enter you can select quit. When typing lsblk things must be changed. We have now 3 partitions. applies on an MBR setup. It might seem out of place here but I thought I pass that knowledge along here already. 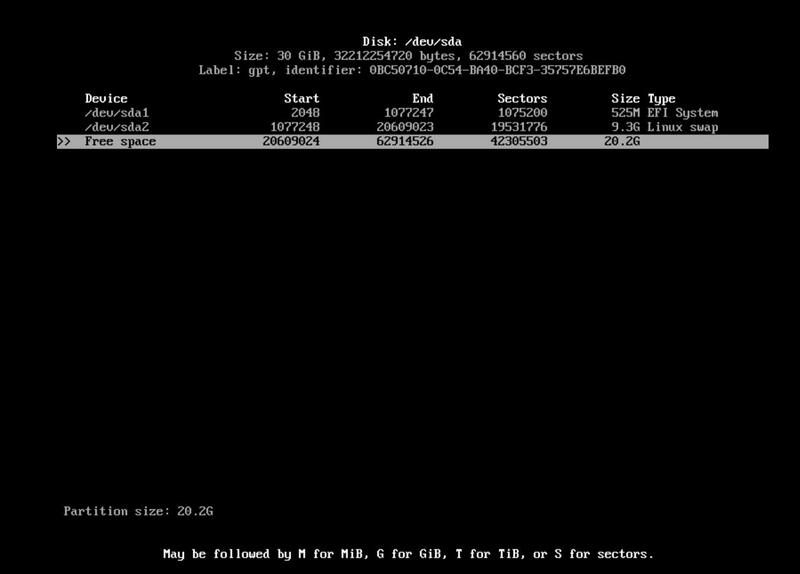 In regards to EFI I find information that we can go till 128 primary partitions not that we will need as much ever. Link for more info. We have sliced our harddisk into 3 pieces but we did not format them yet. 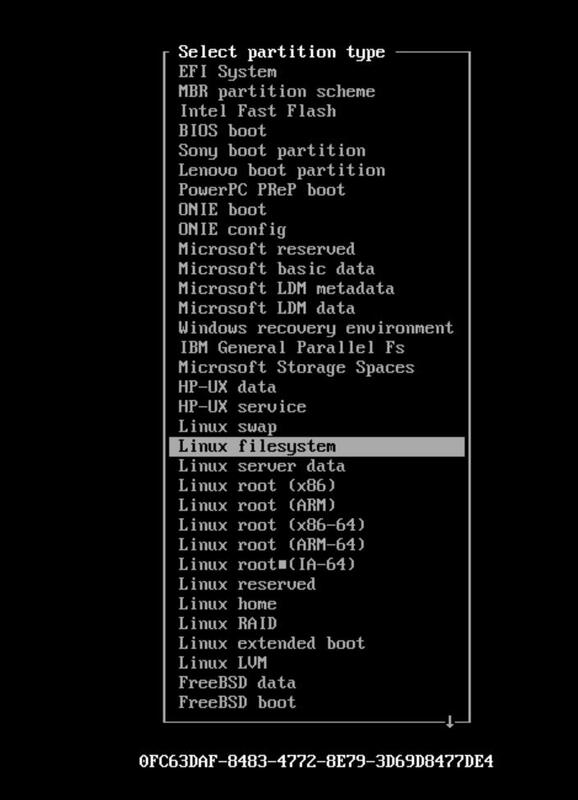 We need to mount our created partitions into our linux hierarchy. First we need to mount sda3 (root) into /mnt. 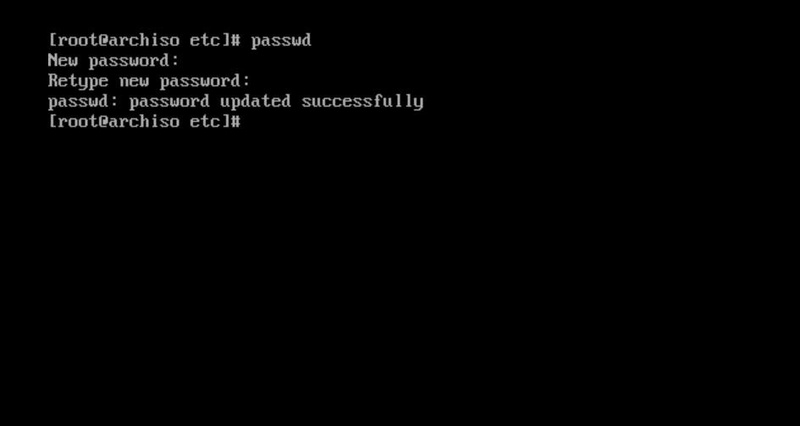 Then we create /mnt/boot in which we will mount /dev/sda1. 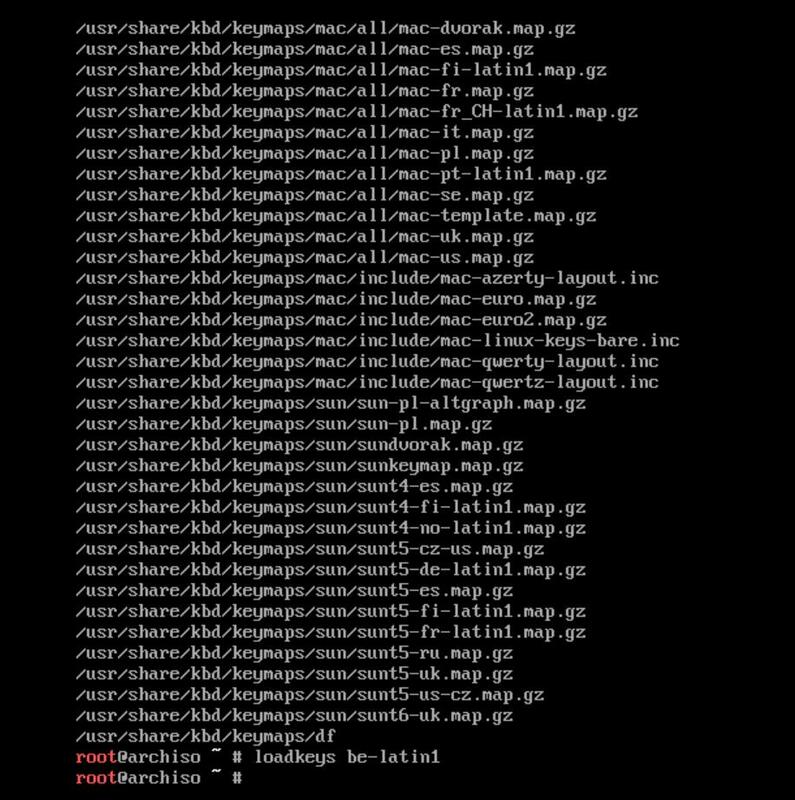 Let us use the script genfstab to generate a fstab file so linux will know what partitions we have like root, efi and swap. 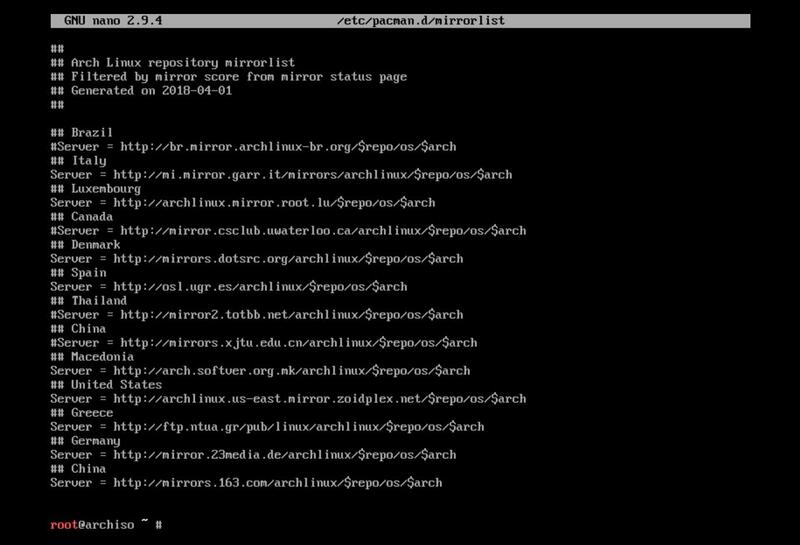 We only need to do this fix IF WE ARE ON VIRTUALBOX. 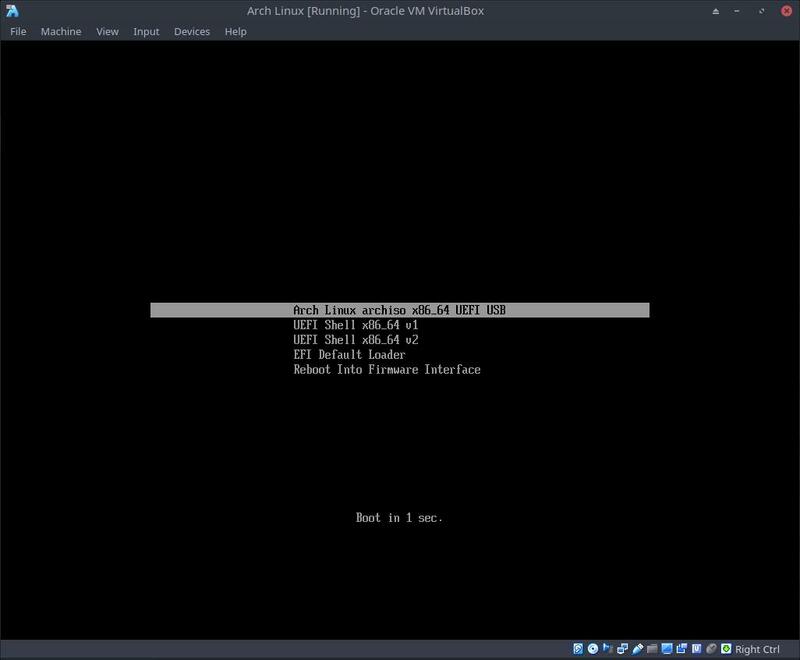 You can reboot with VirtualBox and end up in the grub but you can NOT shutdown. You will end up in the boot screen from the iso. We need to copy and rename a specific file to solve the issue. We also assume you followed the steps above in Fix for Virtual Box. This will work because of the efi file we copy/pasted and renamed earlier on in the Fix for VirtualBox.